This simple mask is a great way to zombify your face quickly, without having to work with fake flesh, blood, and makeup. The Zombie Mask gives you the look of a pale faced individual with sunken features and exposed teeth. Yet even as simple as it is, this mask still imparts a classic zombie style that is sure to give people a reason to pause when they see you. 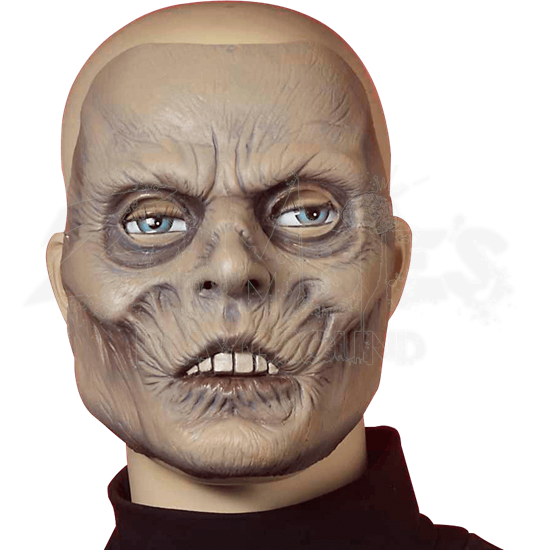 This mask has a faded, dark complexion that borders on pale, as well as unhealthy looking skin that has seemingly sunken into the skull, recreating a wrinkled and ghastly face. The mask features open eye-holes to ensure that vision is not obstructed, as well as allowing the wearers eyes to show through the mask. It is secured and worn using a cord that wraps around the back of the head. The mask itself is made from vinyl and is rather comfortable to wear, as well as being easy to take off and put on. 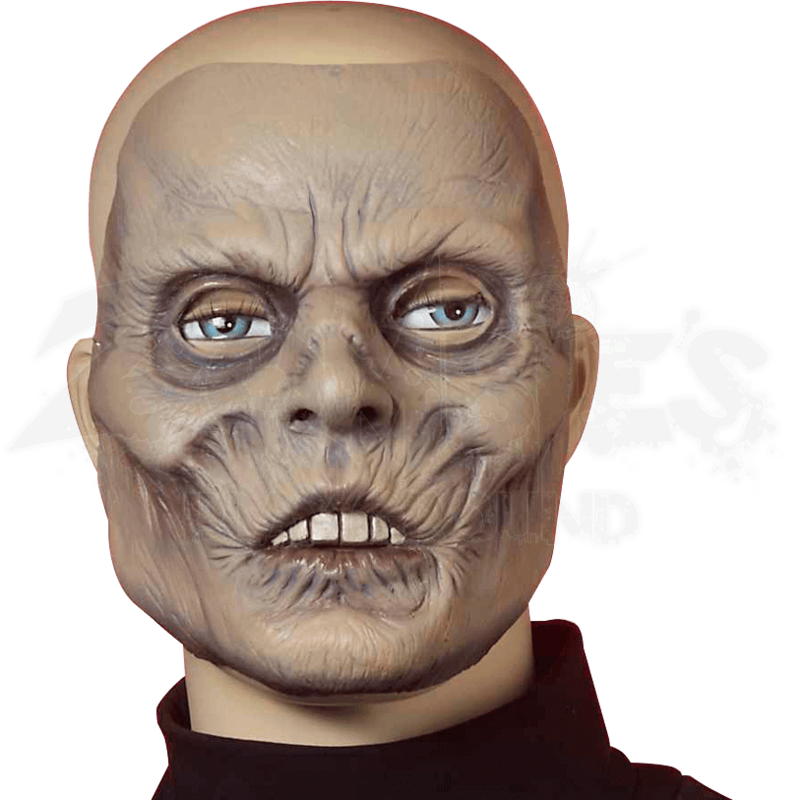 For a quick zombie face that looks just as good as one done with makeup and prosthetics, don the Zombie Mask. In a pinch, you can even splatter this mask with blood and add your own touches to make it a more personal mask that suits your style.